Millions of people are yet struggling for upbringing their businesses online. One cannot deny the fact that online marketing is getting more and more important these days for the promotion of any business. So, if you are one of those who are struggling to promote their businesses online then using social media can be a good idea. Here are some of the main reasons as to why people are using social media for promoting their businesses. Increasing brand awareness: Brand awareness is the awareness that is spread about a particular brand amongst people. Brand awareness is generally associated with a specific product and its uses. If one really wants to promote the products of a company, then creating brand awareness is something that really works. Brand awareness creates more visibility of the product so that the seller can generate additional sales. Generating and sharing via social media for building backlinks: Link building is one of the best things that one can do in order to gain SEO success. Using social networking websites for creating back links is gaining lot of popularity nowadays. Social media has a wonderful impact over SEO rankings. They can bring loads of traffic towards a particular website within a short span of time. Enhancing sales revenue: Social networking websites are a great tool for communicating with the customers. 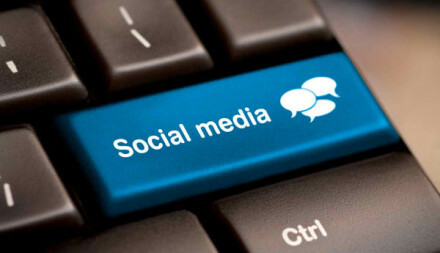 Social media helps entrepreneurs to maintain a direct contact with the customers. The business owners are able to clear the doubts of the people therein thereby elongating the qualities of their products. After using social media as one the main channels of business promotion, one shall witness that how quickly a business progresses. Taking customer relations into new levels: The potential customers that a company has can be communicated directly. A company who communicates via social networking media gains a significant trust of people. It is difficult for people to trust faceless organizations. But once they know an organization via proper communication channel, it becomes easier for them to maintain trust over it. Companies can also provide extra services and gift coupons to the customers as a means of promotion. Enhancing the customer base: There are numerous free as well as paid ways of advertisements in social Medias. People can choose any of the ways for building one`s own tribe over the social networking sites. Approaching potential clients directly via social media easily and steadily enhances the data base of the customers. It is utmost important these days that every business should decide to join social networking sites for marketing. Defining goals right in the beginning shall help a business to measure ROI and the progress of it. Technologies like iPhone, iPads and laptops are mostly used by people nowadays so as to make the work easy. Gone are the days when people use to survey entire markets to buy products. Internet has greatly changed the way of buying and selling. In hectic lifestyles, people are mostly into online shopping. They have no time to ponder upon the advertisements in the markets. Electronic gadgets are being used like bread and butter nowadays. It is interesting to note that some top most brands commenced advertising their businesses via social media only. Uploading videos, pictures and articles of the products over the social networking websites largely helps to promote the product.